FASTag is a simple to use; reloadable tag which enables automatic deduction of toll charges and lets you pass through the toll plaza without stopping for the cash transaction. FASTag is linked to a prepaid account from which the applicable toll amount is deducted. The tag employs Radio-frequency Identification (RFID) technology and is affixed on the vehicle`s windscreen after the tag account is active. FASTag is a perfect solution for a hassle free trip on national highways. FASTag is presently operational at 450+ toll plazas across national highway. More toll plazas will be brought under the FASTag program in the future. Union Bank FASTag program is part of National Electronic Toll Collection (NETC) initiative rolled out by NPCI under the aegis of NHAI and IHMCL. FASTag is a device that employs Radio Frequency Identification (RFID) technology for making toll payments directly from the prepaid account linked to it. It is affixed on the windscreen of your vehicle and enables you to drive through toll plazas, without stopping for cash transactions. The tag can be purchased from Tag issuers and if it is linked to the prepaid account, then you need to recharge/ top up the tag as per your requirement. 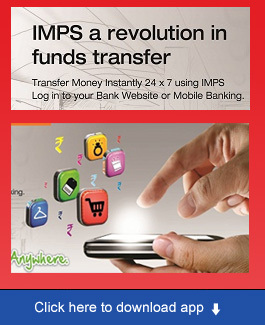 SMS alerts– Instant SMS alerts on registered mobile number for toll transactions, low balance, etc. FASTag is presently operational at 450+ toll plazas across National Highways. The system is inter-operable and the same FASTag can be used across all toll plazas under the National Electronic Toll Collection (NETC) program. More toll plazas will be brought under the NETC program in future. Please visit the www.ihmcl.com for viewing the list of toll plazas in “Active Toll Plazas” section and for more details. You can avail a cashback of 2.5% on all Toll payments using FASTag in FY 2019-20. The cash back amount will be credited back in the tag linked account on monthly basis. You may visit our website to apply for Fastag. You need to carry original as well as copy of your KYC document. Following documents are required for applying for a FASTag. All required documents for FASTag should be in the name of the owner of the vehicle. If vehicle owner is not present at the time of application, driver will need to submit his photo ID proof along with KYC documents of the owner. A valid driving license would be sufficient for ID proof. FASTag has a onetime Fee of ₹100/- inclusive of all taxes. I have two vehicles; can I use one FASTag for two vehicles? No, you need to take two separate FASTags for the two vehicles. RFID tags fitted by vehicle manufacturer cannot be used as replacement of FASTag. Only FASTags issued by Issuing bank can be used for purpose of electronic toll payment. FASTags is affixed on the windshield by the vehicle manufacturer/dealer which is used for the toll payment. You can report an incorrect deduction by our Customer Care Helpline number written on the FASTag. We will review your request and if found correct, will reverse the incorrect deduction. 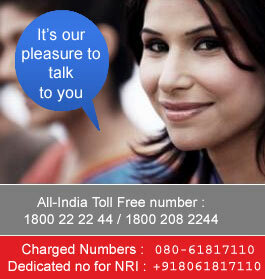 You can raise a request regarding the same by calling the Bank’s customer care. Monthly pass for a toll plaza will be issued at that particular toll plaza. If you are registered tag holder, you need to visit the toll plaza near your location and request for the particular pass scheme. You need to pay for the selected pass scheme by cash or card to the operator. Once the payment is approved, the operator will activate the affixed tag for the pass scheme. You may recharge your FASTag account by making payment through Credit Card/ Debit Card or Internet Banking. Please click here (hyperlink of UBI FASTAG URL) to enter your User ID and Password. Login to the portal, click on reload>Enter the reload amount>Submit> Select Payment mode as Pay by Credit Card/Debit Card/Net Banking > Click on Make payment > Click on the cards or Internet Banking as per requirement. How do I reset my FASTAG Password? Open your FASTAG URL, and click on forgot password option. You will receive an OTP on your registered mobile number and reset your new password. There may be additional charges associated with recharging the FASTag account through different channels. Are there any charges to be paid for applying for the FASTag? Convenience fee will be applicable for online recharge. Threshold amount is the minimum recharge amount to be done at the time of tag activation. The above mentioned tag deposit rates would be applicable as per your vehicle class and will be refunded to you at the time of FASTag account closure. You cancall our customer care for replacement of the tag. The new tag issued to you will be linked to your old tag account and relevant balance amount will be transferred in the new tag. You can call our customer care and block your FASTag account. FASTag is presently operational at 450+ toll plazas across National Highways. The system is inter-operable and the same FASTag can be used across all toll plazas under the NETC program. More toll plazas will be brought under the NETC program in future. Please visit the www.ihmcl.com for viewing the list of toll plazas in “Active Toll Plazas” section and for more details. You can purchase a FASTag to avail the concessions. Once you purchase the FASTag, you will need to submit the required documents (proof of residence) at the Acquiring Bank POS location to validate your residence within 10km of a particular plaza. Once it is verified, you may avail the concession on the FASTag assigned to your vehicle. What should I do if I have been debited multiple times for my toll transaction?